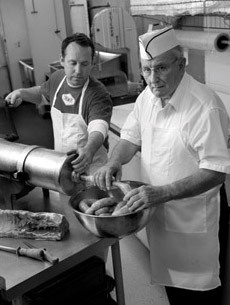 Until 1948 Ralph Cremer Sr., sold bakery goods throughout the rural areas of Dubuque, Iowa. One day his truck broke down and, instead of fixing it, he decided to change careers. He took the money he would have spent to repair his truck and rented a small storefront in Dubuque. 70 years later his business, Cremer’s Grocery, is still thriving as a family-owned neighborhood grocery store owned by his grandson, Jeff. As small town neighborhood grocery stores fade away, Cremer’s Grocery has found its niche—catering to a customer searching for quality and service. 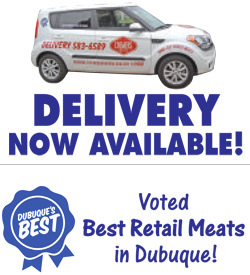 Known for its high quality meat department, Cremer’s specializes in hand cut-to-order meat and homemade sausages.